Michael A. Gold practices in the areas of elder law, long-term care planning, trusts and estates, gift and estate tax planning, estate administration and real estate. Michael provides a personal approach to his planning and counseling, taking the time to get to know his clients and to educate them regarding significant objectives that can be achieved through proper planning. For Michael, planning transcends the mere preparation of legal documents. 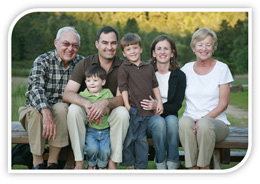 His goal is to understand what motivates his clients and to understand their family dynamics. Client education is a priority for Michael, who takes pride in being able to explain difficult concepts in easy-to-understand terms, in order to empower the client to be a co-decision maker in the planning process. He works hard to ensure that his clients’ accumulated wealth is distributed to their valued beneficiaries with the least erosion from long-term care expenses, estate taxes, creditor claims and court costs. We invite you to browse through our website, and encourage you to bookmark it as one of your favorite resources on the Web. We would also like to hear from you, so please contact us via telephone or email with any questions, comments, or concerns that you might have. In addition, feel free to contact us if you would like to schedule an appointment. The Law Office of Gold and Gold assists clients in Western New York area including Niagara Falls, Niagara County and Buffalo.